Alacrify has been working on the internet with all sorts of businesses for over twenty years now. Our expertise includes extensive knowledge of online marketing techniques, Search Engine Optimisation, Social Media Marketing and online business software setup and maintenance. Most of our clients now have websites built by us that do more than simply marketing services or selling things. Our involvement with their businesses has led to us creating customised, integrated, online systems which allow them to work smarter, more economically and more efficiently. Our client discussions always extend to consider the business as a whole, and we regularly end up adding in features to the clients' websites that support other areas of their business, in addition to improving their online marketing. One current project allows the management and collection of membership information for a large national association. It stores renewal data and other important information about the members' involvement in the association. The current manual approach takes hours of work per member per year to manage and monitor. Our system is designed to be self-service, with almost no administrative requirement, saving hundreds of admin hours every year which will then be allocated to growing the association and providing more services to the members. This system also integrates with other communication and networking tools that we are building into the website, which will allow the association to provide even better services to their members at the point of need. We have also created a number of systems that we use to help our clients make the most of their digital marketing activity, one current project is The Hashtag Directory. 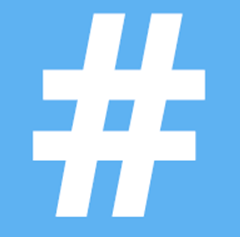 The Hashtag Directory is the no.1 stop for all things Twitter Hours and Hashtags. We collate all the current business hours and popular hashtags so you don't have to, saving you time, pointing you in the right direction, and letting you jump straight into Twitter. Visit the website to benefit your business on Twitter.